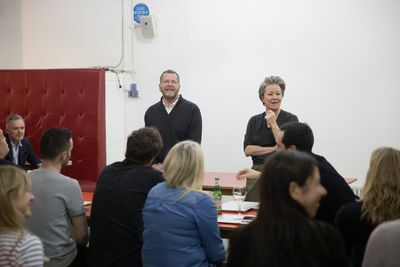 W+K's President Dave Luhr and Global ECD Colleen De Courcey were in the agency yesterday and so we forced them to say a few words to the agency then had our people interrogate them about the network's future plans. It all seemed to go OK.
Chambord says Bof to that. Chambord is a French raspberry liqueur in a brilliantly over-the-top gold bottle. And in true French style, Chambord's essence is about doing what you like, not what’s expected. Says our very own Anna-Claire Clendon, Digital and Interactive Strategist: "As women we are exposed to an enormous amount of pressure to prepare for the perfect Valentine's Day. It's all rather prescriptive: what to wear, what to bake, how to apply the perfectly winged eyeliner. Chambord is one of the only brands calling on women to care a little less and, if they want to, embrace the frivolity of Valentine's Day." Now that's an attitude we can certainly get behind. Watch the animations below for the full Chambord Valentine's experience. 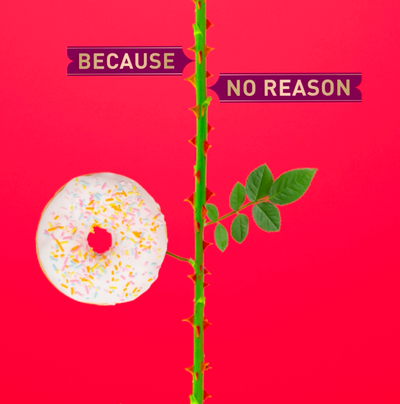 **These animations follow last year's bizarrely wonderful #BecauseNoReason campaign launch. 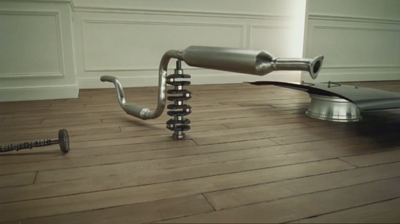 The Gunn Report rankings published in Campaign showed that Honda The Other Side was the world's most creatively awarded digital campaign in 2015. 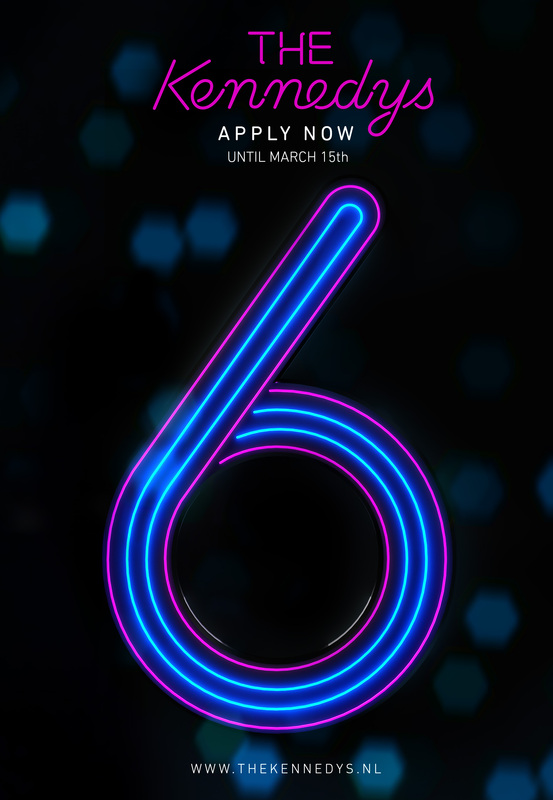 In the same report Wieden+Kennedy London ranked joint ninth most-awarded agency in the world, not far behind W+K USA (Portland + New York combined) which ranked fourth in the world for 2015. 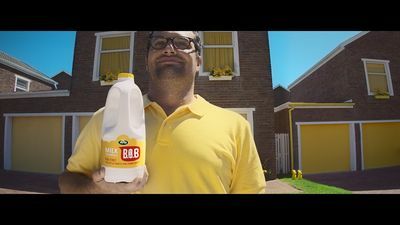 W+K have teamed up with Arla to unveil a colorful new campaign to launch Arla Best of Both (BOB): the UK’s first fat free skimmed milk that tastes as good as semi-skimmed. To distinguish BOB in the milk aisle, it’s packaged with a bright yellow top that sets it apart from the traditionally blue, green and red topped milk. 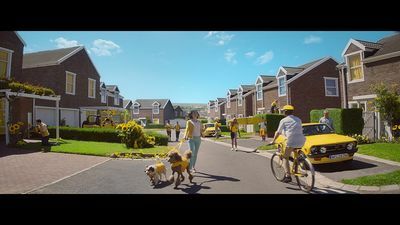 The campaign kicks off with a 30 second TVC spot entitled ‘Welcome to Compromise.’ The ad revolves around the inhabitants of a town called Compromise who have been living in a joyless world of restraint until their lives are changed forever from the day of BOB’s unexpected appearance. The ad is a tongue in cheek celebration of what it means to bring a “Best of Both” promise to milk drinkers who compromise with their milk choices. Bold splashes of yellow are brought to the town when an unexpected parcel arrives. Inside are neatly packed rows of BOB in ice boxes, which goes against everything the town has ever known. Word spreads as taste, texture and colour energise glasses of milk, cups of tea and bowls of muesli across the town of Compromise. A true transformation takes place. With people everywhere now wearing yellow outfits, Compromise has indeed gone yellow doolally. The TV ad is part of an integrated marketing campaign featuring, shopper, outdoor 48 sheets, six sheets, press, digital and social media. The fridges at W+K London have been stocked with a sunny crop of yellow-topped milk containers lately — a departure from the expected blue, green, and red versions we’re used to choosing from for our midday cuppa. This splashy new addition promises BOB (“Best of Both”): a fat-free milk with all the taste of semi-skimmed. Who says you can’t have it all? 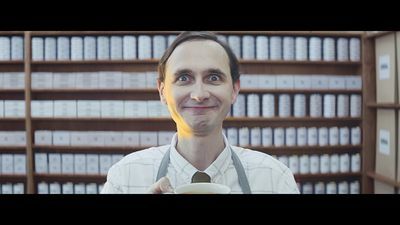 W+K’s newest 30” TVC for Arla celebrates BOB and a radiant new outlook on dairy shopping. Taking place in a town called “Compromise,” the ad follows the transformation of its inhabitants after they’re introduced to BOB. Once drab, grey, and restrained, Compromise starts to look luminous and energised with the dazzling new dairy option to brighten up every bowl of cereal across town. In addition to bringing a sweet smile to viewers’ faces, the launch of BOB is part of Arla’s drive to support farmer owners and innovate through its products. Give it a watch and keep an eye out for the yellow tops in your nearest supermarket. Compromise in the milk aisle is a thing of the past, and the world is sunnier for it! When does advertising “go too far” in referencing art, culture, or sourcing inspiration? Who “owns” a creative concept, and is the very idea of such ownership productive and practical? It’s a contentious issue, to be sure, and our very own MD, Neil Christie, was duly asked to comment on the BBC story. “It becomes tricky where there are a few sources of inspiration, one of which might be something which was a similar concept to something that appeared in a piece of work by an artist,” said Christie. This is but a sliver of the story, which you can read in full on the BBC website. Delve into the debate and comment below to share your thoughts. Author Wieden Kennedy LondonPosted on February 8, 2016 March 31, 2016 Categories UncategorizedLeave a comment on Artistic Inspiration or Appropriation? Author Wieden Kennedy LondonPosted on February 4, 2016 March 31, 2016 Categories W+K worldwide, WeblogsLeave a comment on Could you be one of The Kennedys? YouTube has announced the ten most viewed ads of 2015. Those most watched by millions around the world which make up YouTube's UK 2015 leaderboard. Wieden+Kennedy London is the only UK agency with two ads featured in the top five. Three 'Make It Right' hit number three and Honda 'Ignition' reached number four. Wieden+Kennedy London and Halls have teamed up to launch a new campaign in North America and Canada that aims to be the first to take care of its audience when they’re not feeling great. Promoting the strong and gentle variants of Halls cough drops, the campaign plays on the truth that people like two types of love when they’re under the weather: ‘Tough Love’ – for a motivational no-nonsense approach to care, or ‘Soft Love’ – for those who prefer to be hugged and pampered when sick. The spot opens from a first-person perspective of 'you' sick in bed. Turning 'your' head left receives tough care and then right receives soft care. As the spot progresses, the care from both sides ramps up as each character tries to offer alternatives to make you feel better and out-do the other. The campaign is brought to life by John C McGinley of ‘Platoon’ and ‘Scrubs’ fame. He looks after you as ‘Tough Love’ and ‘Soft Love’ characters in eleven pieces of film content that’ll leave you feeling better.